ING Direct allows consumer control over their financial futures via the web. 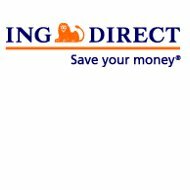 ING Direct was originally established in the year 2000 with a focus on stocks and virtual banking. Type your zip code to see your real time health insurance quotes! Although ING Direct sells insurance products via ReliaStar Health Insurance Company, it is not currently licensed to do business in all US states. ING Direct is a young company that has expanded globally over the last 11 years. There phone number listed for Reliastar Health Insurance customer service is 1-800-333-6965. If preferred, consumers may also get in contact with the Reliastar Health Insurance Company via email. There is a form on the official ING Direct website that allows prospective clients and existing customers to correspond over the web, as no actual email address is available. There are insurance claims forms available for download on the ING Direct website. Alongside each set of forms are instructions for the insured parties. Some types of claims require policyholders to submit additional documentation or obtain signatures from their health care providers in order for them to be processed. As many of the supplementary health insurance products sold by Reliastar Health Insurance Company are only available to company owners, most insurance claims need to go through an employer. ING Direct also lists several phone numbers so that its customers can follow up on the status of their insurance claims. All hiring for the Reliastar Health Insurance Company is done through ING Direct. In addition to an online job search portal, ING Direct provides a written description of each available position, job requirements, and a list of traits the company is looking for in applicants. Job seekers can also opt to send their resumes and cover letters to ING Direct in lieu of applying directly for a specific position. Most open positions for the Reliastar Health Insurance Company are based in Minnesota and New York; however, a few remote and traveling positions are also available. ING Direct also supports college students that are interested in beginning their careers in the insurance industry through several internship programs. Some internships are based in specific locations such as Georgia, while other programs are active in all ING Direct locations. While ING Direct and its subsidiaries primarily sell life insurance products and financial services, supplementary health plans are also available on a limited basis. Currently, disability income insurance, critical illness coverage and accident insurance can be purchased directly through the Reliastar Health Insurance Company. Employers also have the option of purchasing supplemental health plans for their employees. It appears that Reliastar Health Insurance Company will be introducing new products in the future. These may or may not be additional supplementary health insurance products. In order to obtain information about rates, consumers will need to contact the Reliastar Health Insurance Company or ING Direct. As online quotes are unavailable, rates can be determined by way of an independent insurance agent or via a customer service representative. Individuals may be able to quickly find out how much money they will be charged for a new health insurance policy, however, employers will need to submit forms and wait a few days for a response. Group rate quotes are more complex, thus, more time is needed to come up with quotes. Although both ING Direct and the Reliastar Health Insurance Company list customer service phone numbers and mail addresses on the website, this company generally provides customer service online. The customer web portal allows clients to manage their insurance policy and financial services at will. There are several locations where ING Direct customers can physically meet with staff members. These locations are in major cities throughout the US, however, individuals and small company owners are urged to utilize the web tools before arranging for an in-person consultation. Get low health insurance rates after you submit your zip code!